The capsule idea came out of a community birthday party organized by Albany resident Stephanie Low in October, marking 150 years since the town was incorporated as a city. 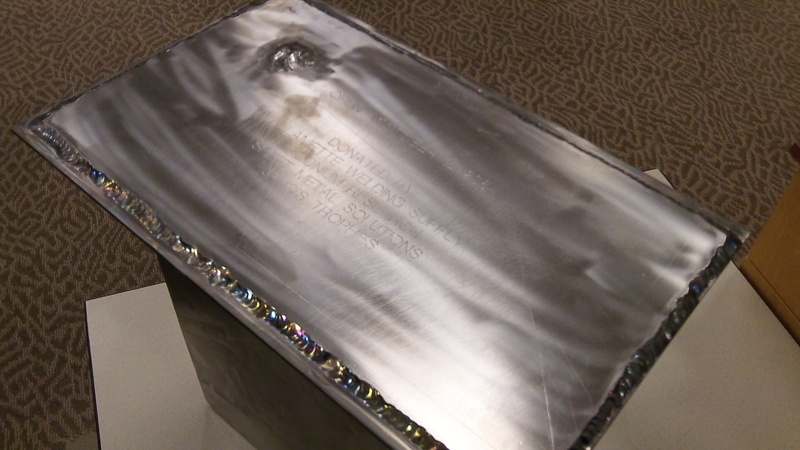 Councilman Rich Kellum, who owns a welding supply business, volunteered to carry out the idea, and this week he brought the finished item to the city council. It seems to me that it would require a more permanent place than a new police station unless they plan on moving it to a new location after 25 years.